Deadpool was a movie that shattered a lot of things, chief among them being the box office and people's expectations. It has become the highest grossing R-rated movie ever made, and it’s crazy to think that this movie reached so many people. Deadpool’s a foul-mouthed mercenary, delicately walking the anti-hero line as he talks about Colossus’ balls and turning bad guys into human kabob’s with his sword. He’s very popular with the adolescent crowd and that was never more true than with a young fan named Connor McGrath. Connor McGrath was 13 years old battling High-Risk Acute Lymphoblastic Leukemia. Connor was a huge Deadpool fan and one of his wishes was to see the movie Deadpool. This is a wish that the Make-A-Wish Foundation and Ryan Reynolds delivered in spades. Reynolds went to visit Connor in Alberta Edmonton, where he showed Connor a rough cut of the film. Tragically, Connor passed away last night, and Ryan Reynolds has delivered a touching and sweet eulogy on who he calls Deadpool’s biggest fan. I called Connor, "Bubba". And he called me "Bubba2". We met because he loved Deadpool. In a certain sense he WAS Deadpool. Or, at least everything Deadpool aspires to be; balancing pain, fearlessness, love and a filthy (filthy!) sense of humor in one body. I wish he could've stuck around a lot longer. You can read the full eulogy on Ryan Reynolds’ Facebook page, where he remembers first meeting Connor and showing him the rough cut of Deadpool. It was a version that didn’t have finished special effects, so wires were still visible and jokes that didn’t land weren’t taken out yet. Connor was also the first person outside of the studio to see the film. The Deadpool actor also remembers how, even though Connor was only 13, he "knew more curses than a British chef." That sounds like a Deadpool fan all right. It’s terrific that Connor was able to see Deadpool, even if it was an unfinished version. The movie was a huge success that made $150 million over its opening weekend and that success is largely thanks to fans like Connor, who love the character. Also kudos to Ryan Reynolds, who proved again that he’s a real solid guy, for taking the time out of his schedule to visit a sick kid. Deadpool may not be as noble a role model as Captain America, but it’s cool to see all superheroes get to spread some love one way or another. With the success of Deadpool, a sequel is already on the way. 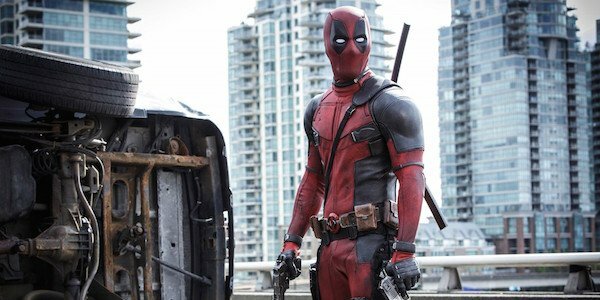 It doesn’t have an official release date except for a 2017 window, but we’ll keep you updated on all things Deadpool.